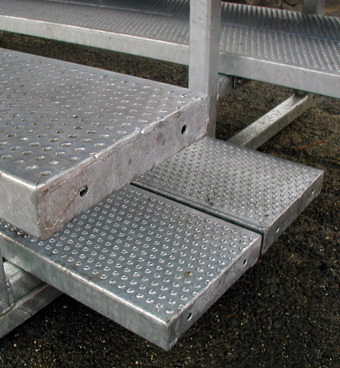 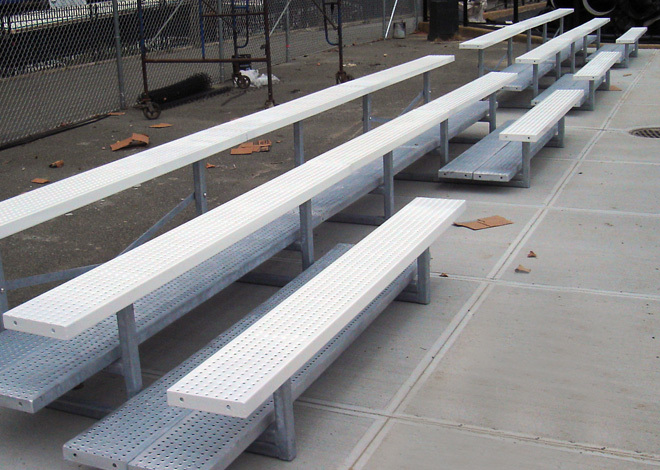 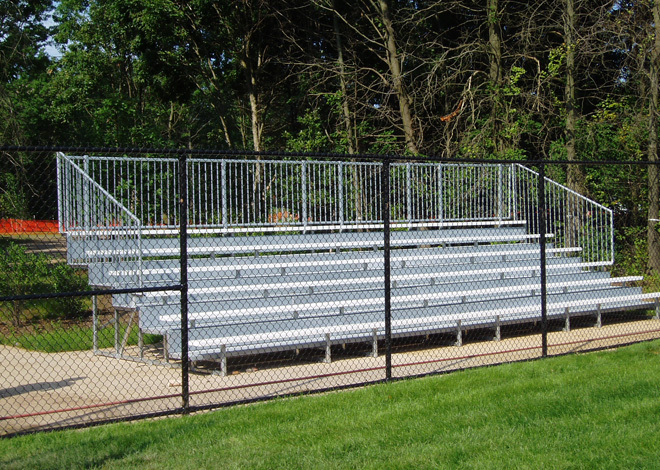 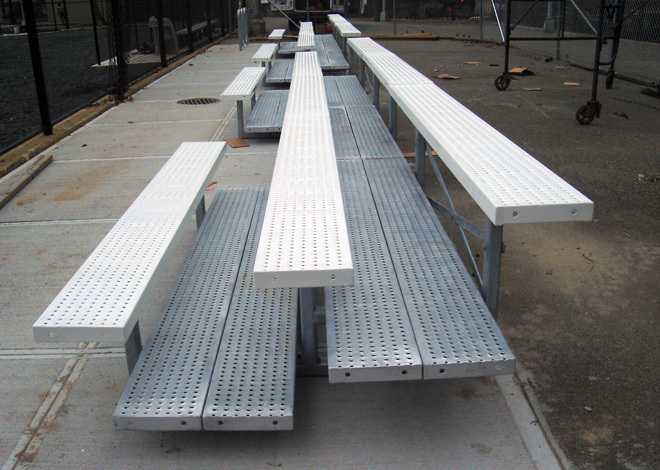 Steel bleachers are Seating Solutions answer to the aluminum theft problem in urban areas. 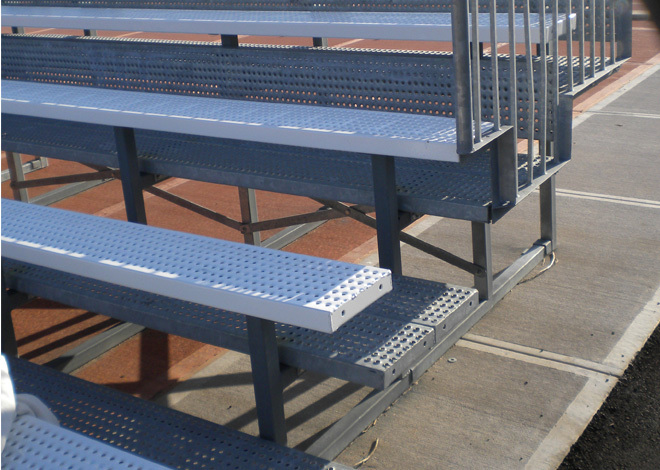 These bleachers are made of 100 percent steel and are too big and too heavy to be worth the time to try to vandalize or steal. 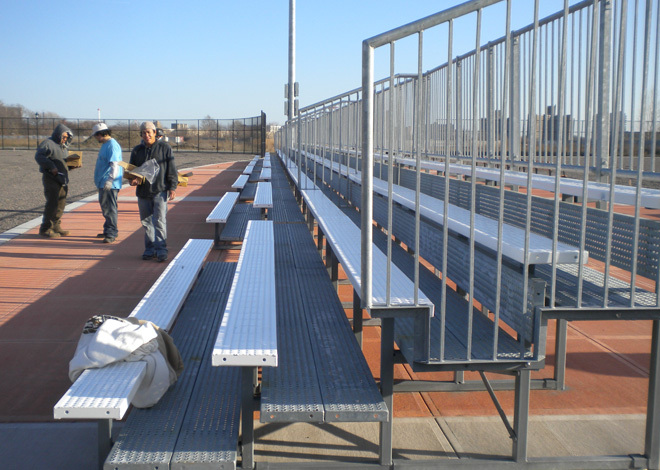 They also utilize all tamper proof hardware which makes it nearly impossible to take apart the bleacher once it is installed. 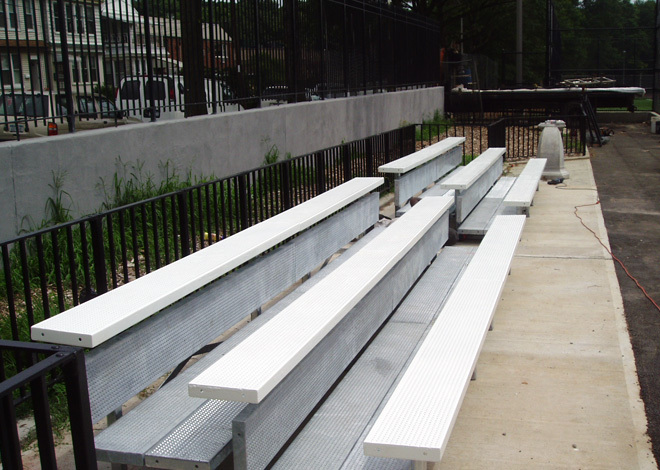 The galvanized steel is impervious to rust and holds the original finish of the bleacher for years. 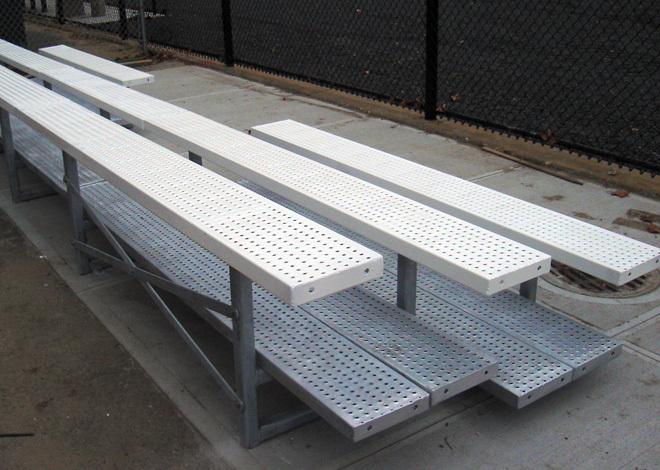 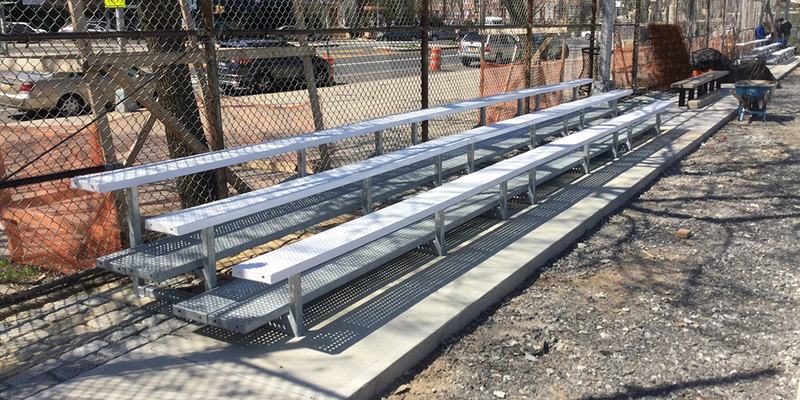 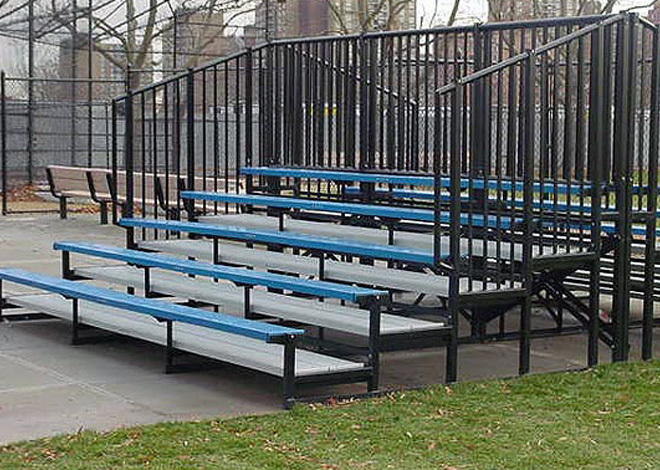 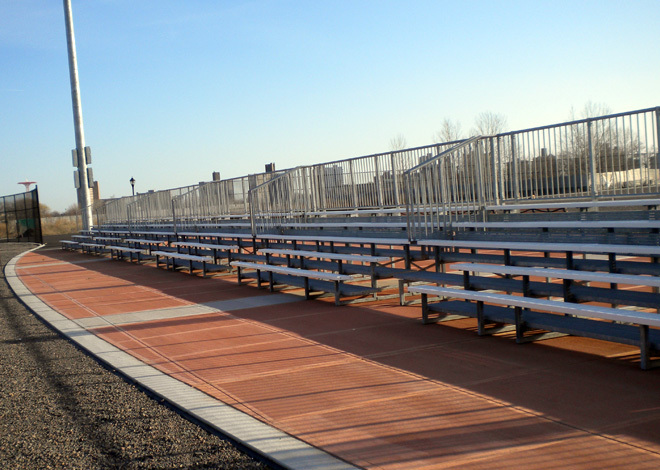 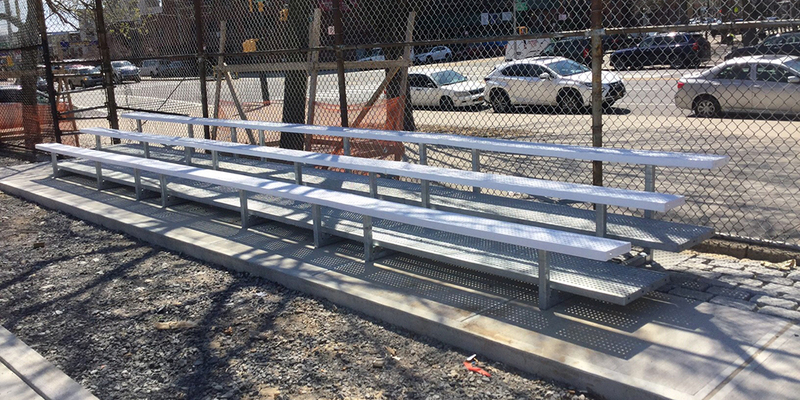 The New York city Parks Department has enjoyed the advantages of Seating Solutions steel bleachers for over 10 years and can attest to the strength, durability, and deterrence of theft the steel bleacher provides. 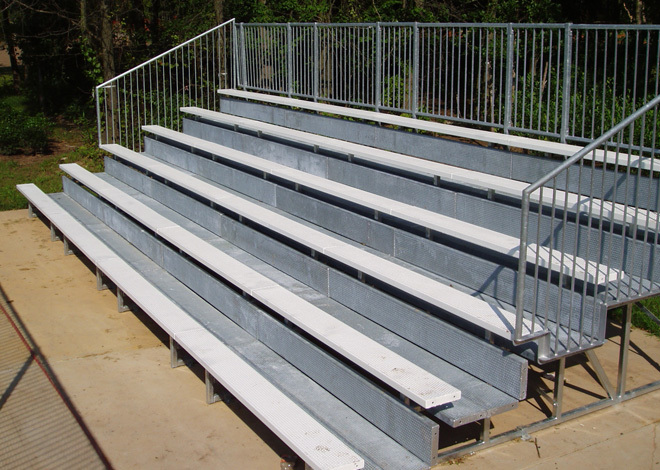 Steel bleachers come standard in 3 and 5 row units but custom designs are also available, please call for pricing.